Hello out there, everyone! I know my June Barkbox review is a little late... but after Brynn arrived, things got pretty hectic. So today is the day! This month's theme was a Bark-beque! First, we have Calm K9 Nutri-Wafers. They're not technically a treat, but more like a calming supplement. Dakota is pretty calm these days because she's six years old. But don't let that fool you. She still has an inner puppy. But she's certainly calm by comparison because there is an actual puppy in her house. And twelve-week old Brynn will be the true test! These retail for approximately $7.95. 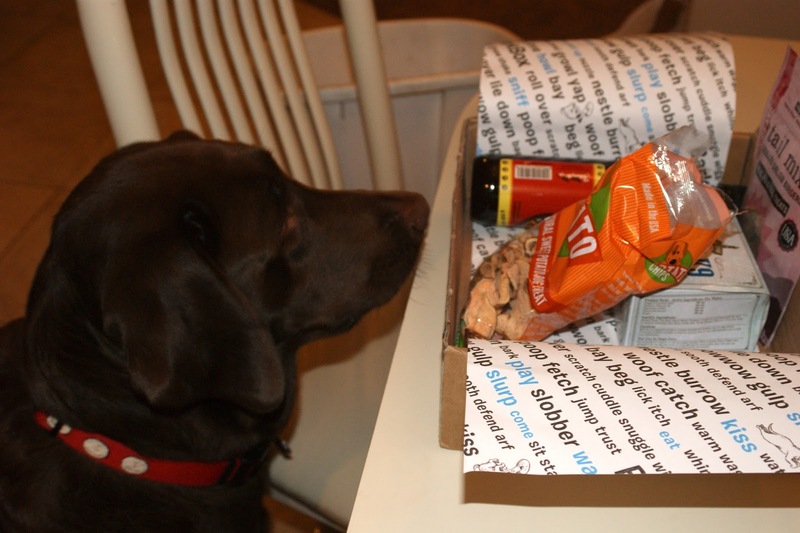 Yeah, by this point, Dakota was impatiently staring! 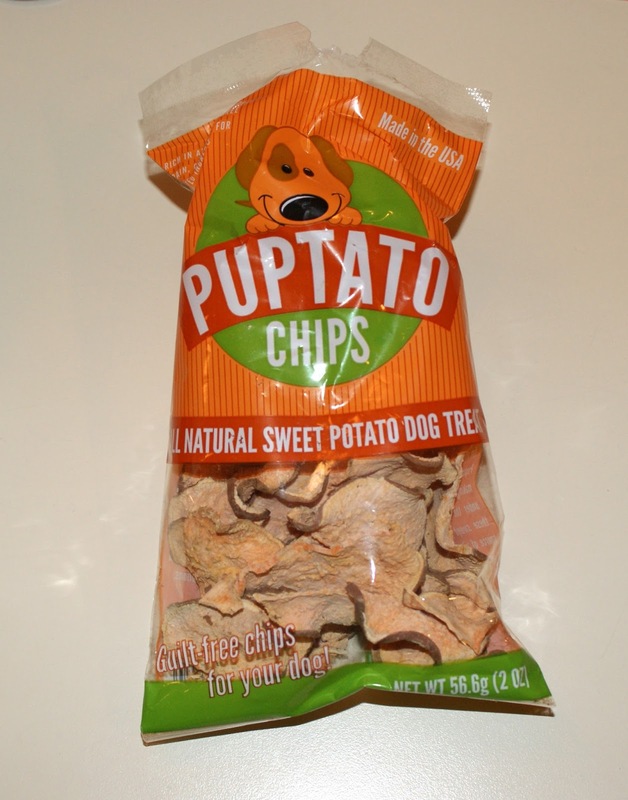 Next up are the Puptato Chips! The two dogs are IN LOVE with these and they're a perfect size. I never feel guilty about tossing them one once in a while. They retail for $3.99. This made me cry with laughter when I opened it. Perfect addition to a bark-beque! It's a non-alcoholic, non-carbonated beer made from malt barley with added glucosamine. I haven't given this to the girls yet. But I definitely will! It retails for $3.50. 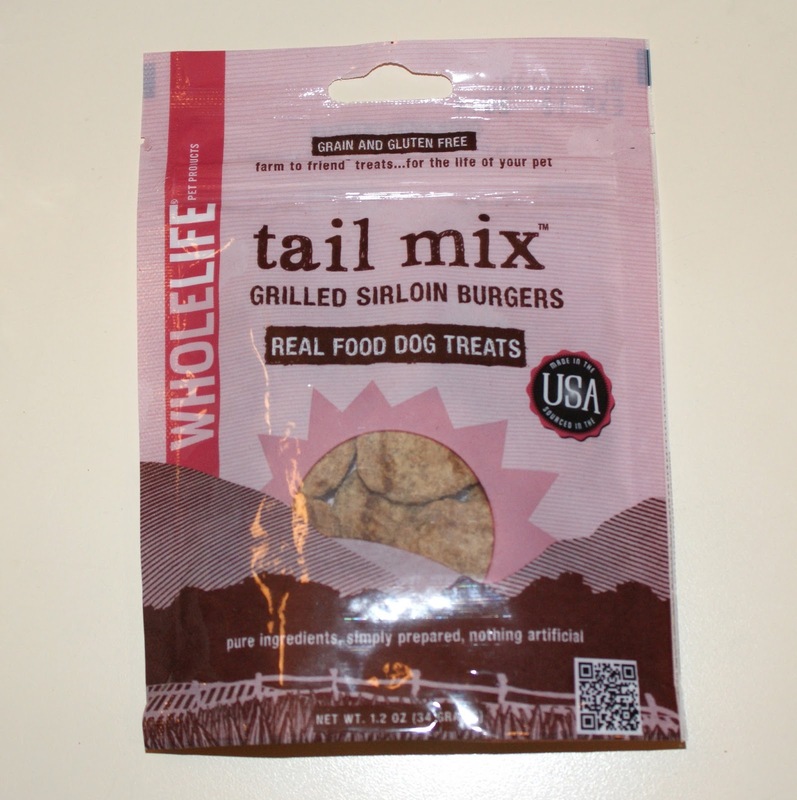 And last, but not least, were the Tail Mix burger treats. These were a perfect size to give to both Brynn and Dakota and not feel guilty. They're also grain and gluten free. They retail for $6.29. The total retail value of this box was $34.23. The girls REALLY loved everything, however, I was a little disappointed in the retail value. For the $29/month plan that I'm on, I was hoping for a little more bang for my buck. May's BarkBox was worth over $40. That being said, the quality of the items in here was great. These definitely were products that I hadn't seen before and the theme was just adorable. 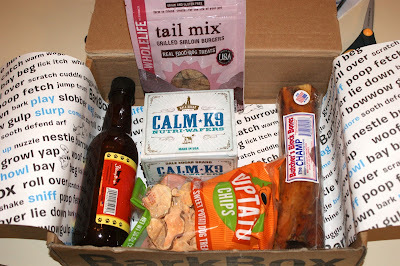 One of the things I love about Barkbox is that they send items I wouldn't normally buy or find in a supermarket. It's a nice surprise element. 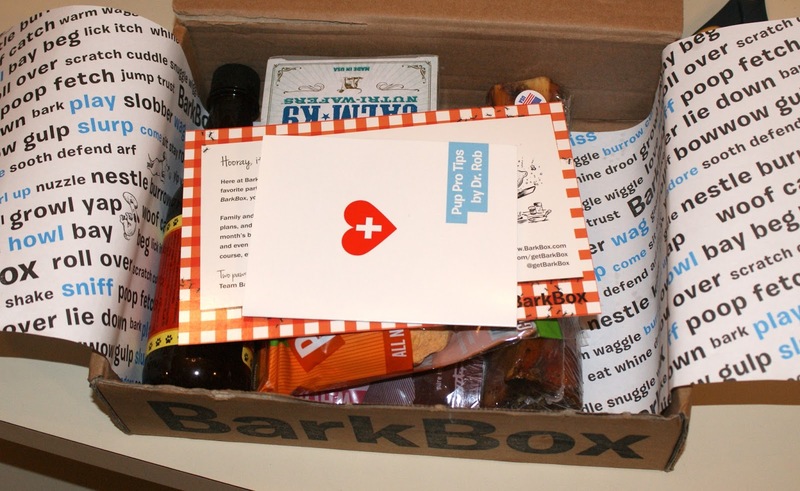 To order your first Barkbox and receive $10 off of your order, click here and enter the code: FBRUV10. There are monthly, quarterly, and half-yearly plans available that range from $29 to $19 per month. I've never even heard of this stuff! That's great, I'd love my dog to try new things! Bowser Beer, how creative! Can that be purchased online somewhere? 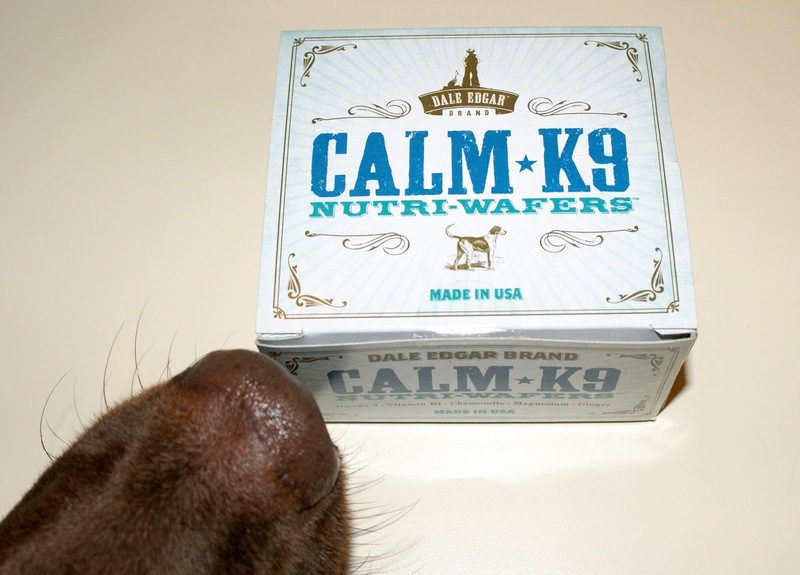 Did the calming treat really work? Oh my goodness, you pup is adorable! 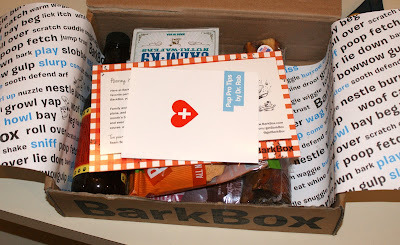 I've never heard of Barkbox.. probably because I don't have a dog! The idea and the products really cute though, subscription boxes for dogs :P I hope she gets as excited about hers as I do!